Basseterre, St. Kitts – The High Court of Australia ruled Friday that five members of Parliament who hold dual citizenship were ineligible to run for their seats, meaning they are ineligible to serve in Parliament. One of the people ruled ineligible by the High Court is Deputy Prime Minister Barnaby Joyce of the National Party, who will face a by-election Dec. 2. Today, Barnaby Joyce is now-former deputy prime minister because he was a citizen of New Zealand through his father. He took urgent steps to renounce the New Zealand citizenship this year. In August, New Zealand’s minister of internal affairs broke the news that Joyce was automatically eligible for New Zealand citizenship although he was born in Australia. Joyce’s father was born in New Zealand, where children born to citizens automatically obtain citizenship. It does not have to be activated. The Australian High Court decision is particularly remarkable for Kittitians and Nevisians because it comes during the same week as a thought-provoking press conference held Wednesday by the Prime Minister of St. Kitts and Nevis the Honourable Dr. Timothy Harris. 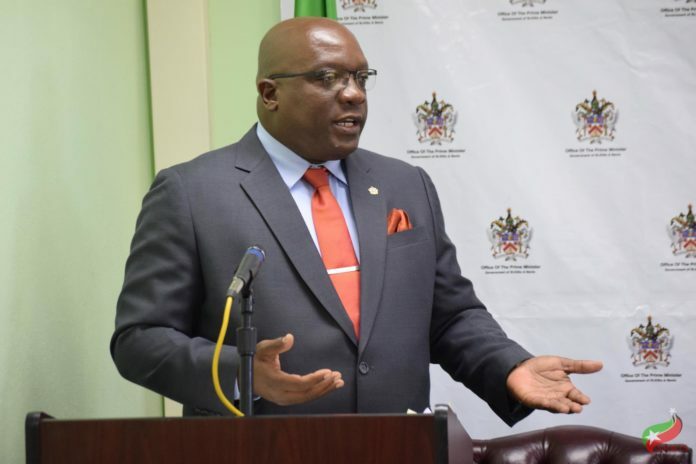 During his press conference, Prime Minister Harris said the government of St. Kitts and Nevis continues to investigate the circumstances surrounding the issuance of a diplomatic Dominican passport to the leader of the Opposition. The Honourable Prime Minister said what is known so far is that the government of Dominica issued a diplomatic passport to St. Kitts and Nevis’ leader of the Opposition on July 30, 2015. “It is tragic that the said ‘ten man in one,’ Dr. Denzil Douglas, who led the fight against others, could now have entangled himself in issues of eligibility to serve in the people’s Parliament,” Prime Minister Harris said Wednesday.